As added service to our website visitors, we have created an archive of all the horoscopes we have provided. We hope you will find it interesting to know your past horoscope and be able to reflect upon them. Are you suffering from misfortune and despair lately? Are you aware that there is something wrong with your surroundings and it seems like everything you do always fails? When it comes to your relationship with your partner or your family, it is like they aren’t working all fine? And then your boss is scolding you more often than usual because of some work mistakes and it really affects your career and financial life? These kind of situations are really a big trouble anyone. Losing all your confidence because of these problems is one of the major effects of some unsolved problems. But you don’t have to worry, there are really things that you can’t do alone and no matter how hard you try. Solving and working it out by your self is not the solution for this type of problem. Sometimes you also need help and someone or even something to rely. And of course with the help of technology as well, how? Have you heard this horoscope online? It has been covering the Internet for years now. Things such as horoscopes and horoscope readings are somehow alike and different from the future prediction through the help of a psychic. A psychic or a tarot reader uses tools in divinations in readings. Although some people say they are more reliable than the horoscopes. And many would even think that the two are the exactly the same. But the truth is they are two different entities. Psychic readings used a psychic in reading, a person provided with ESP or an extra sensory perception. Their senses are clearer and keener than a normal person. On the other hand, horoscopes is a category under the study that deals with the celestial bodies alignments, changes in positions, movements and the like called astrology. It is more related with how the stars change its motions once a year or every day. And the changes will surely have a great contribution for a certain person’s being. Horoscope deals with the twelve zodiac signs known as the; Aries or the ram, Taurus or the bull, Gemini or the twins, Cancer or the crab, Libra or the scale, Leo or the Lion, Virgo or the virgin maiden, Scorpio or the scorpion, Sagittarius or the archer, Capricorn or the goat, Aquarius or the water bearer and Pisces or the fish. There are twelve signs all in all and all of them possessed different things from each other. It also has its own alignment of stars and associated planets. And one movement of the stars has different interpretation which is done by an astrologer. It would be posted over the Internet and in different sites and blogs. 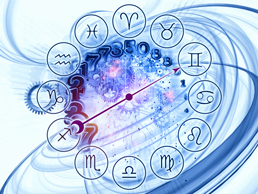 Horoscope online is the latest innovation of traditional astrology and the modern people. There is no need to neglect one if you can combine the two, right? It would be easier for everyone to access it in ways that they are more comfortable to. Besides horoscope online is really accessible and as for you, you might have a lot of confusions but there is no harm in trying.